hd00:27Corruption business. Slow motion money shots of young business man full of corrupted money, throwing it in the air and bribing. 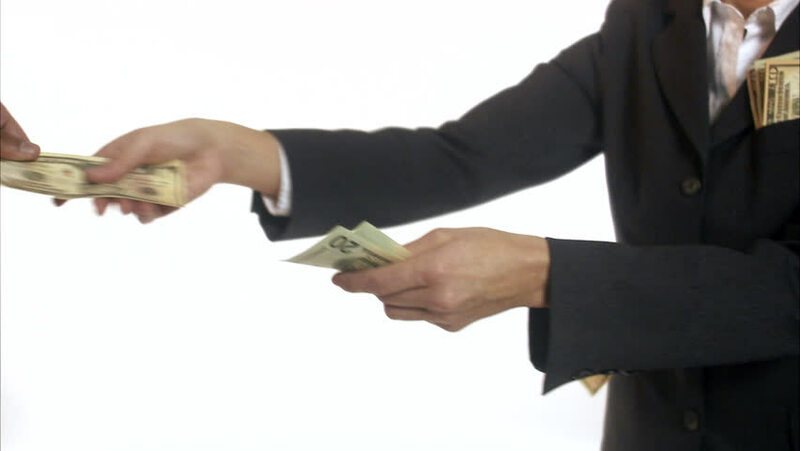 4k00:06Businessman's hand passing dollars. Cash transfer on white background. Manager borrows big money. Creditor ready to help. hd00:16Hands with money, showing dollars on chromakey. Close up. hd00:14Businessman counting euro banknotes. A business deal with the transfer of money. Close-up of man gives a stack of euro to girls.